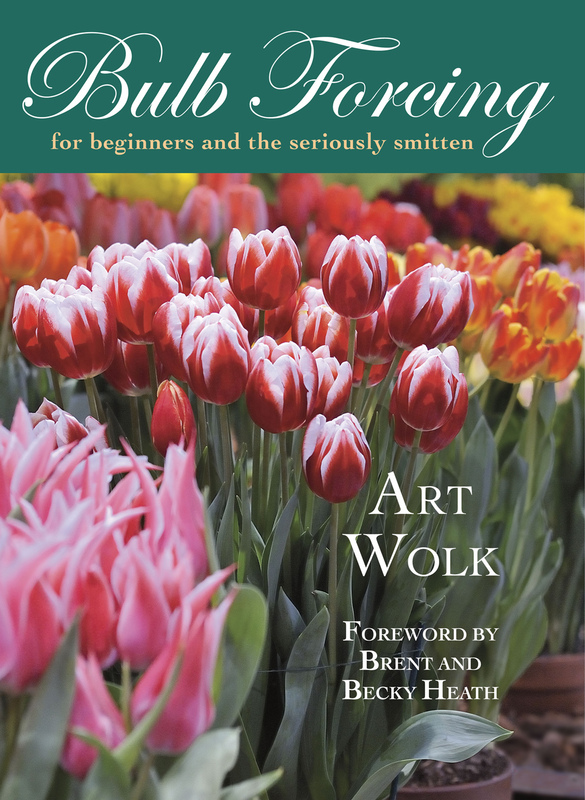 Win a copy of Art Wolk's informative and hilarious book," Bulb Forcing: for beginners and the seriously smitten." 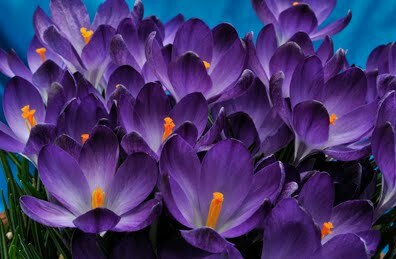 All you have to do is comment directly below this post or for the tech challenged, email me and I'll add your comment section: 75 words or less describing your greatest success or failure in bulb forcing. 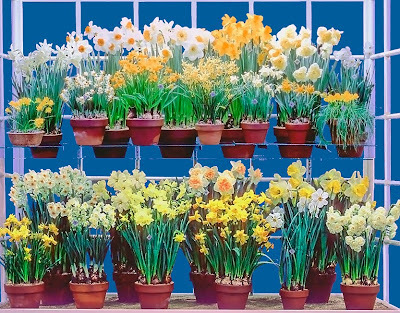 Now is the time for New York City gardeners and all urban gardeners with tiny or non-existent outdoor spaces to think of growing bulbs indoors. Ok, you people with huge gardens are also invited to add the pleasure of winter blooms to your indoor space. I've been forcing bulbs since girlhood but as I read Wolk's book I kept thinking with wonderment, 'I didn't know that.' He reveals all from his vast experience; how using a heat mat under a pot or increasing room heat forces the two or three amaryllis flower stalks within a bulb to shoot up and bloom simultaneously for a grand display. Maybe you don't want to compete for the big blue ribbon wins as Wolk does. I'm happy with a few hyacinths in water in a color to compliment my new gift African violet (see below). But in "Bulb Forcing" I discovered why my hyacinth stems are so short. If you want to learn the secret, win the book, or even (gasp) buy it. This truly looks like a book I need! If I don't win it (which I would LOVE to do! ), I'll have to think seriously about purchasing it. I tried forcing bulbs in the past, once. I had "limited" success. I'd love to try it again!! Because I heart bulbs, as the kids say. I'm smitten. Seriously. Because I failed with Lachenalia, making it only leggy, unblooming and in my opinion, somewhat sullen and spiteful. Because sometimes force is necessary, provided that it is reasonable, with these unruly bulbs. Because force=massxacceleration. It's physics. That's science. Pick me! How can I force you to give me this book? I'll be your best friend. I need all the gardening help I can get. This looks like a great book for those still working on their green thumbs, like me! I love bulbs but I know little about the right ways of growing and nuturing them at this point. What a beautiful and usefule book. I'd love to win it! I have not had good luck forcing bulbs to bloom. I've tried paper whites and found them to be the easiest. Amarylis seems to take forever to bloom, and I eventually just five up on it. I've tried tulips and they grow leggy and topple over without giving me any flowers. You can probably tell, I need help. If you really want to know, I am out of patience with my amaryllis bulb. It moves very slowly and attracts small black bugs.